This draws an anti-aliased circle with an optional border. Call with <img src="circle.php?r=50&fg=ff0000&bg=000000&bw=5&bc=ffff00"/> to draw a filled circle with radius=50, foreground color=red, background color=black, border width=5, and border color=yellow. Assumes register_globals is on, but you can fix that easily. Usage is <img src="moon.php?size=100"> which produces an image 100px by 100px wide. If size is left out, the default is 24px by 24px. I quickly made a gradient ellipse function (i took some code from other gradient functions). It works like imageellipse or imagefilledellipse but with two color parameters: $ic is the inner color of the gradient ellipse and $oc is the outer color. 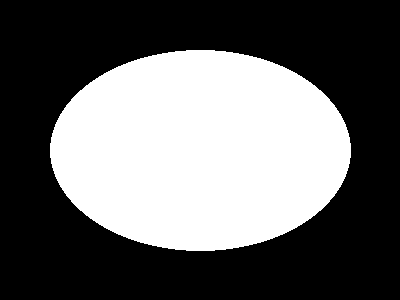 This is a niffty function that you can use to make transparent ellipse/round type cutouts of any PNG or GIF image. The hard part is finding what color to use for the cutout layer and then the transparent layer, because you don't want to set the transparent index to a color being used in the image. After that it's as simple as layering the two images together. a image of the size you want the cutout to be, gif or png (true color /256) can be used! You can try a demo here (SGML) capture a web page, then make multi cutouts example! Here is a simple script using imagefilledellipse to created rounded corners on the fly. It takes color, bg_color, width, height, and placement (i.e. top left, bottom right) as arguments. I needed to draw translucent circles on an existing image, using imagealphablending($image,true);. Turns out that imagefilledellipse seems to do the ellipse by drawing a series of lines from the centroid out to the circumference. Problem with this is that pixels near the center very visibly get drawn multiple times, producing a kind of moire effect. Also, the 0-degree (center to right) line is drawn twice and so is twice as dark the pixel below it. My workaround was to draw the ellipse solid in a copy of the source image and do an imagecopymerge back into the original. This draws a rotated ellipse. If you don't want filled ellipses, then you don't need the triangle function.